Show off your amazing sense of style with this beautiful necklace by DG. 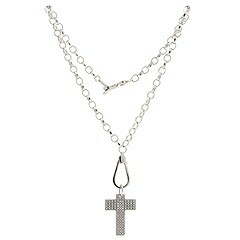 Stone-encrusted cross charm. Logo detail is incorporated into the toggle closure. Made of stainless steel. Free shipping in the USA.